Docker allows you to run applications inside containers. During this execution, Docker will look for the ubuntu:14.04 image in your Docker host. If Docker doesn’t find it, he looks for it on the public part of Docker Hub and download it in your Docker host. As soon as the command echo ended, the docker container stop. 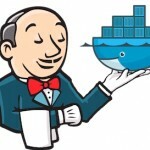 $ docker run -d ubuntu:14.04 /bin/sh -c "while true; do echo hello world; sleep 1; done"